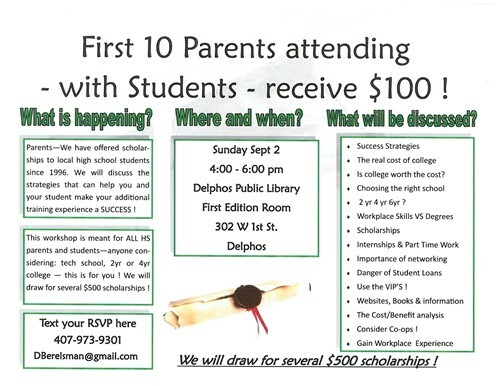 Students and Parents you are invited to attend a Success Seminar this Sunday at the Delphos Public Library. The first 10 Student/Parent teams to attend will receive $100.00. In addition, there will be a drawing for several $500 scholarships to Student/Parent teams in attendance.